Cut slightly the surface of the duck breast skin in squares, season with pepper, salt and fry on a dry pan starting from the side with the skin. Then turn the fillets around and fry from the other side. The fried duck put afterwards additionally in the up to 160°C preheated oven for ca. 5-6 minutes. Meanwhile place the cherries on a hot pan, season with spices and prepare the sauce stirring the whole time. Prepare also the beetroot puree by cooking the beetroots in water till tender, afterwards drain them off and blend. Season the beetroot puree with salt, pepper, squeezed garlic and heat it up. 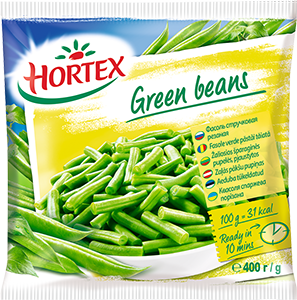 Cook the beans according to the instructions on the package. Drain them off and cool down. Stir them with sour cream, mustard and pumpkin seeds. 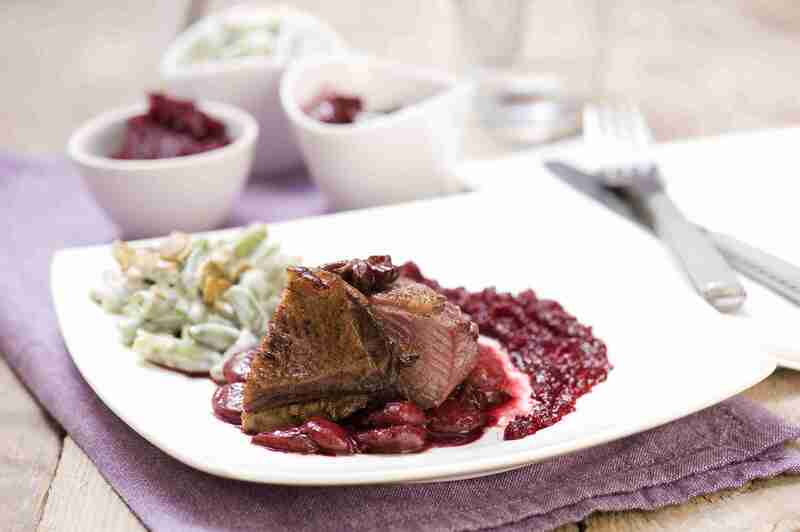 The duck fillet serve poured with the cherry sauce, with beetroot puree and green beans salad.